This afternoon I thought I’d be brave and let DS have a go a colouring with crayons. 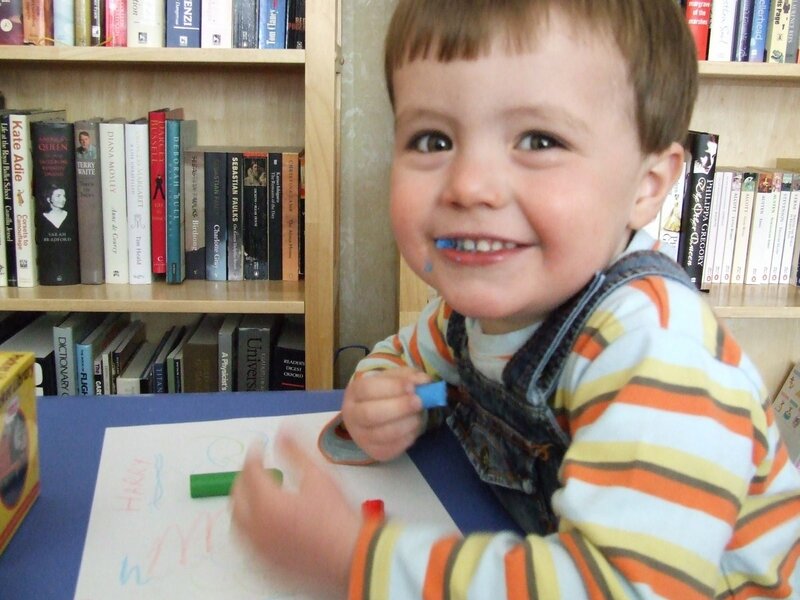 He sat down at his wee table and got off to a good start … then promptly began eating the blue crayon!! The crayons have gone away again for a few more months and I’ll be letting Nursery deal with all his artistic needs for the time being! BTW – I think he might be a leftie like his Grandpa or is it too early to tell? He should have tried the green one it tastes better!!!! Thank goodness for toothpaste! Thought you were going to be a leftie but it didn’t happen. Maybe Granny will let him draw pictures when Mummy isn’t around?